Despite an expected slow recovery from the recession and the rise of business costs, it seems manufacturing in Singapore remains a vibrant and relevant industry. This article aims to present Singapore’s edge as a manufacturing hub that has seen companies such as Abbott, Neste Oil and Illumina investing here. 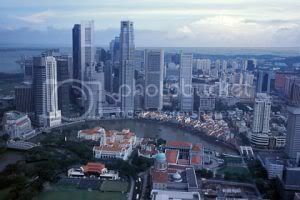 As an export-dependent economy, Singapore had been the first country in Asia to slump in a recession. Now our manufacturers are feeling the heat especially with the rising cost of running their businesses that have been eroding their competitiveness. It is not wrong to say that manufacturers are looking into more viable means of sustaining their businesses such as moving to cheaper production hubs like Vietnam and China. However, the truth remains that Singapore has strong fundamentals that still makes her an attractive location for manufacturers. Besides Singapore’s reputation as one of the best connected countries in the world, with all the sea, air and telecommunications links needed for business, it has also gained recognition for being an Intellectual Property (IP) rights protective country. For the past two years, Singapore has been voted the most-IP protective country in Asia by the Political & Economic Research Consultancy (Perc). Like Aalst, a local chocolate manufacturer, many who have located their bases in Singapore have found it easier to maximize the value of their corporate IP here. 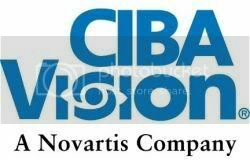 CIBA VISION, with divisional HQ in the US and a Swiss parent company NOVARTIS, is a global leader in the research, development and manufacturing of contact lenses and lens care products. They chose Singapore to set up their manufacturing plant for their DAILIES disposable contact lens in 2005. Their DAILIES are produced by high technology automated machines that dispenses what they call “lightstream technology” that gives its lens precise accuracy. Because they are fully automated without using any manual labour, this provides thorough cleanliness for top quality products. With manufacturing performances no longer solely dependent on physical assets alone, Singapore still gets a high vote of confidence from high-tech manufacturers in this new era where growing and managing intangible assets, such as brands, inventions and processes, are critical in achieving the equilibrium of long-term sustainability for their businesses. Makino Asia, a leading manufacturer of advanced machine tools has its manufacturing headquarters in Singapore where its office is fully integrated with R&D and engineering production. It produces S- and E-series Milling Machines, which are sold worldwide, as well as the CNC Electrical Discharge Machines (EDM) and CNC Wirecut Machines. As such, a skilled workforce is essential in meeting their clients’ every need by providing high-quality engineering solutions, and reliable technical support. This remains one of the main factors why Singapore has been an ideal location for Makino Asia. Despite labour costs in Singapore being generally more costly than in China and India, their logistics and administrative costs for such operations can add up to as much as three times more than Singapore. That is why Dr Moh is confident that Singapore will continue to play a pivotal role in Makino’s operations. Manufacturing in Singapore is moving rapidly up the value chain towards increasingly knowledge-intensive and innovation-driven activities. This transition has been made possible with Singapore’s vibrant economic eco-system of complementary activities – from manufacturing, R&D and innovation, and supply chain management, to shared services and intellectual property management. Manufacturers also benefit much from Singapore’s network of trade agreements and linkages, such as Free Trade Agreements (FTAs). The most significant agreement recently signed was with China. This FTA would allow more growth and integration between both countries, and provide freer movement and more economic benefit for our manufacturers. Moving forward, Singapore is positioning itself for the future. Apart from its strategic location, IP protected environment and availability of skilled and talented workforce from a well-educated population, Singapore’s political stability and security in comparison to our neighbouring countries are conditions that favour business sustainability and profitability. With such attributes, it only stands to reason that Singapore is in an advantageous position in spite of the harsh external conditions. Manufacturing in Singapore, though costly, might pay off greater dividends in the long run by tapping on the island’s strong and tested fundamentals when the economy bounces back.